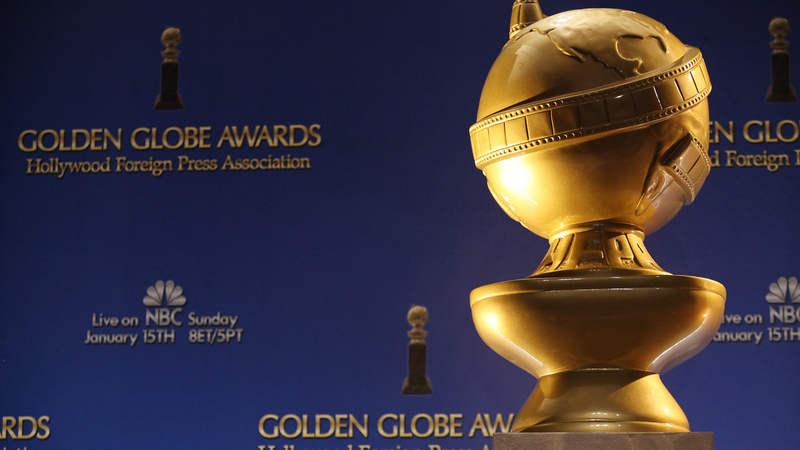 The Hollywood Foreign Press Association (HFPA) held their 69th Annual Golden Globe Awards tonight. The evening was hosted by controversial British comedian Ricky Gervais. Although the awards were spread around quite evenly, the expected favourite The Artist came out on top. It had led with six nominations and won the most prizes on the night with three -- Best Motion Picture (Musical or Comedy), Best Actor (Musical or Comedy) for Jean Dujardin and Best Original Score. The Descendants was the only other multiple winner. George Clooney had been favoured to win Best Actor (Drama) which he did. But they also won for Best Motion Picture (Drama) which was a bit of an upset over perceived front-runners such as The Help. The evening began with revered Canadian acting legend Christopher Plummer winning for Best Supporting Actor for his role in Beginners. He gave one of the best acceptance speeches of the night, perhaps because the night was still young. The champagne flowed very freely, and the speeches became increasingly giddy as time went on. The film actress winners were Michelle Williams who won Best Actress (Musical or Comedy) for My Week With Marilyn; Meryl Streep who won Best Actress (Drama) for The Iron Lady; and Octavia Spencer who took Best Supporting Actress for The Help, a movie which I don't care for at all. Many complained of Meryl Streep being a boring and obvious choice but while this is her eighth Golden Globe (for both film and television), she has only two Academy Awards and has not won an Oscar in three decades(!) Her acceptance speech, however, seemed wild, incoherent and alcohol-influenced. She graciously acknowledged other actresses including Adepero Oduye (Pariah) but had a stretch of a few seconds that had to be bleeped out by the censors. Martin Scorsese was the winner for Best Director in a close race where each of the nominees were equally worthy. Steven Spielberg accepted the award for Best Animated Film which went to The Adventures of Tintin. It marks the first time in since the category has been introduced that a Pixar movie did not win. Woody Allen won Best Screenplay for his writing on Midnight in Paris. He did not attend the ceremony, however, and presenter Nicole Kidman accepted on his behalf. Asghar Farhadi was the very deserving winner of Best Foreign Film for A Separation. His speech was a sobering reminder of events in the real world. The worst choice of the night was Best Song, which went to "Masterpiece" by Madonna from the movie W.E. It was a weak field, but they went with an awful choice likely based on her name recognition. The honourary Cecil B. DeMille Award was presented to Morgan Freeman by Dame Helen Mirren and Sidney Poitier. Poitier is himself a past recipient of the award and Freeman said that in his household the trophy would also be known as the Sidney Poitier Award. The most enjoyable presenters of the night were husband-and-wife team William H. Macy and Felicity Huffman who sang their witty introduction in harmony. The only television show to win more than one award was Homeland. It picked up Best Television Series (Drama) and its star Claire Danes won Best Actress in a TV Series (Drama).